Being overweight or obese is not good for men and women of all ages. The weight matters a lot during pregnancy and an overweight woman faces certain risks after getting pregnant. Weight loss and routine gynecological visits are good options for overweight pragnent women. This blog post highlights actual pregnancy risks face by an overweight person. Please continue reading to read what the right weight during pregnancy is and how overweight pregnant women can handle certain risks. Pregnancy is a rewarding and tough experience at the same time. The woman gets blessings during this period but the suffering cannot be ignored. This discussion may seem scary but knowing about complications is the key to a successful pregnancy journey. To avoid health risks and to give birth to a healthy child, a woman should be in a stable and sound mental and physical state before getting pregnant. Weight, or body mass index (BMI) to be more precise, matters a lot because it is an indicator of good or bad health. It is necessary for a pregnant woman to be in the right weight. Having a suitable weight before pregnancy means less risk of complications. The parts of this blog post discuss how the weight of the woman plays a key role throughout the pregnancy. Pre-Mature Birth: If the pregnant woman has much more weight than normal, the risk of premature birth increases. Cesarean Birth: The obese and overweight women may give birth to a bigger child than normal. Due to this reason, the chances of cesarean section increases. Anaesthetic Complications: Obese and sometimes overweight women have a tendency towards morbidity (and rarely mortality) due to general anesthesia. Neural Tube Defects: The baby may develop a spine, brain, and other problem. The risk of the baby developing neural tube defects is high in overweight women. Larger-than-Normal Baby: The overweight women are likely to have a larger baby than normal. This risk doubles for the women with more than 30 BMI. Stillbirth: Though the risk of stillbirth has reduced for mothers of any weight, the risk is nearly double for obese and overweight women. Obesity and Diabetes: The baby born to an obese woman will be more at risk of developing obesity and diabetes. Eating anything may not be a good idea during pregnancy. To stay healthy during pregnancy and give birth to a healthy child, it is necessary to eat a healthy food. As the body grows bigger and women put on weight during pregnancy, some women may reduce eating food to stop weight gain. Doing so may not be good for the woman and the baby. It is true that pregnancy is a tough time but staying active and free of stress is important. Performing routine tasks and walking regularly is good during this period. All pregnant women need to visit the gynecologist on a regular basis to check the health. All prenatal instructions from the doctor must be followed carefully. If a person does not have a suitable weight, she should consult a certified dietitian or gynecologist to know if that she is doing well. It is possible for obese and overweight women to have a healthy and normal pregnancy, some risks are still there. To be on the safe side, it is recommended to obtain a maternity insurance. You have read here the importance of weight during pregnancy. Routine Gynecological visits and weight loss are recommended to overweight women aspiring to get pregnant. Handling all risks just by reading an article on the internet is not easy. It is always good to seek professional help. The gynecologists at the Euromed Clinic Center Dubai can ensure a successful pregnancy and delivery for you. Want to know more? If you have questions to ask, please book an appointment now. If you want to learn more about this topic, please do not hesitate to get in touch with us. 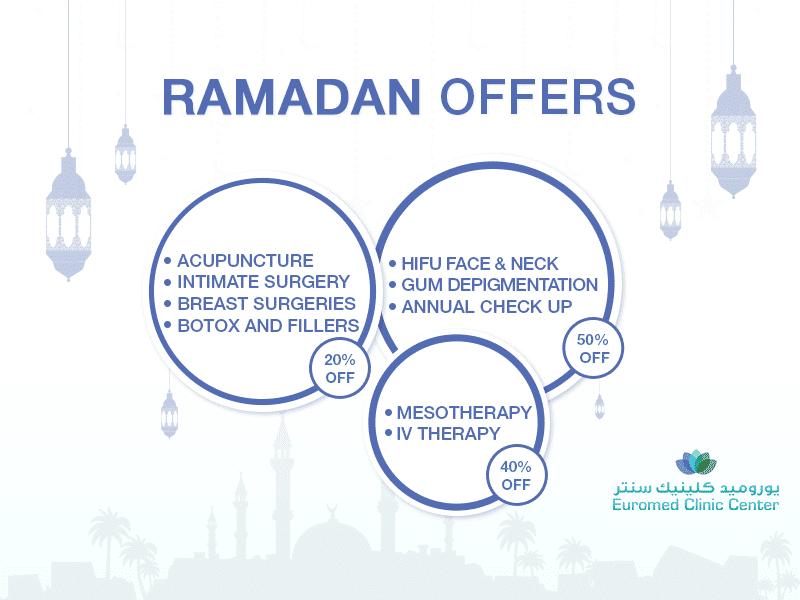 The experts at the Euromed Clinic are always available to answer your questions. Book your appointment now by calling us or filling the short online form.